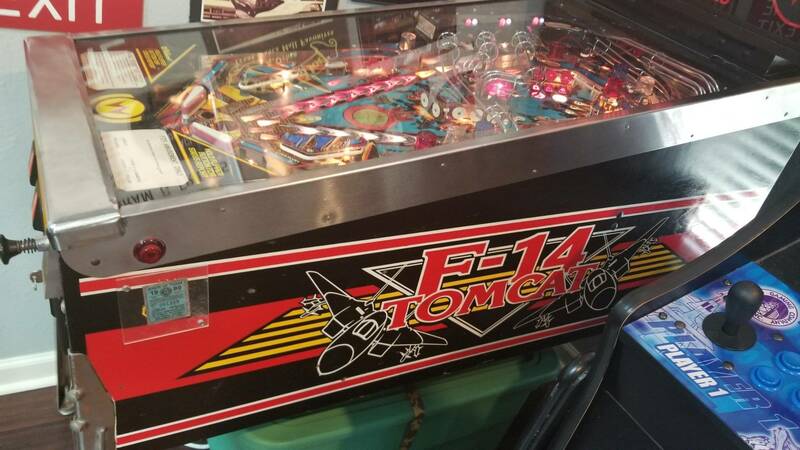 » Forum » Market » Buying and selling advice » F-14 Tomcat - To Buy or NOT to Buy? » F-14 Tomcat - To Buy or NOT to Buy? 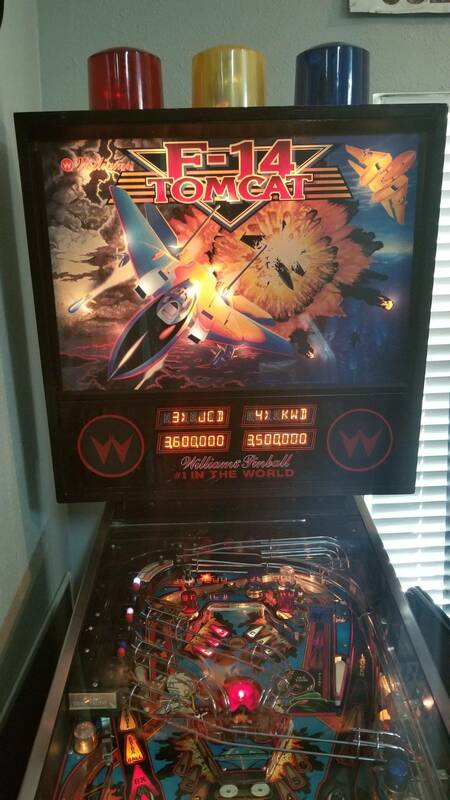 F-14 Tomcat - To Buy or NOT to Buy? I am a total newbie so forgive the ignorance. I read quite a bit on here before looking at the F-14 Tomcat today. I noticed the mylar coming off in many areas at the inserts. I didn't see any lifting but also didn't take the glass off and look closer. It played fast and seemed to operate properly. They are asking $2200.00. The story is they bought it a few years back for $1500.00 and paid $2000.00 to get it working. 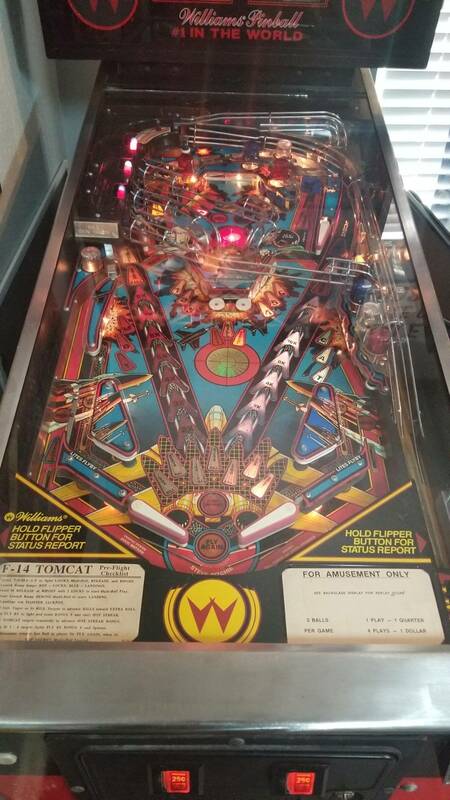 How long can I expect to play this before the need to redo the playfield arises and whats it worth in the current condition? Anything else I need to look for aside from the obvious corrosion, broken wires, burned areas, etc? Show some photos of the inside so we can see where this 2 grand worth of work went! It's priced a little high,I would say more about 1500. 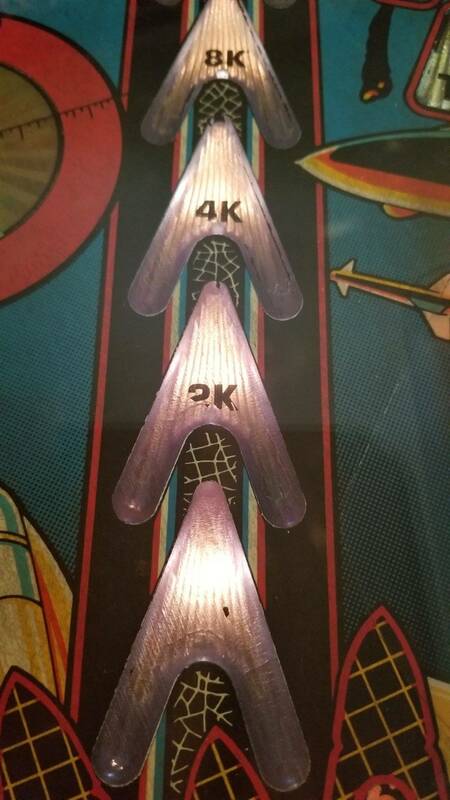 I own a super nice F14 with a repro playfield. I think the wear you have is pretty common on this game and there may be repro insert decals you can install without too much effort. That being said, I think $2k is high for the pictures you are showing. 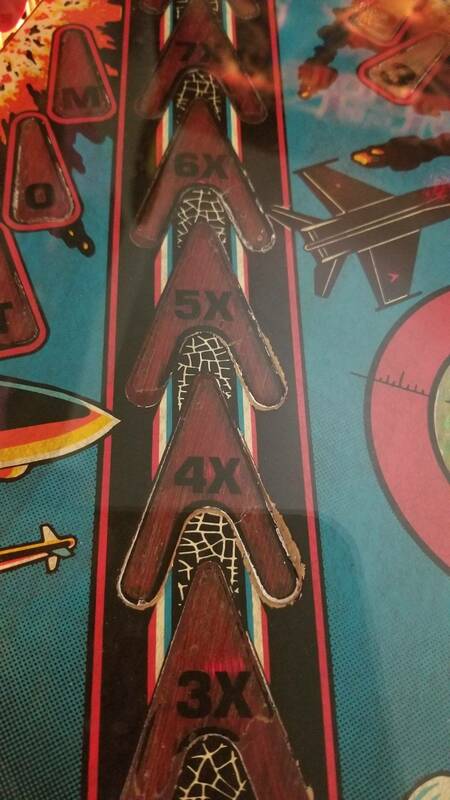 Its not an uncommon game and ones like this seem to fetch around $1600 or so. Thanks for the quick replies. So let me get this right, all the wear showing is "only" the insert decals and not the mylar, so no worries about soon to be insert lifting? Maybe it's the lighting but all the inserts and plastics look washed out to me. I doubt you'd get 1500 back out of the game. Live to fight another day and wait for a nicer one. I love F14 as a pin. And that condition wouldn't bother me so long as the game plays correctly. Price, for me, $1,000 - $1,400. I've removed mylar on this game before. Not too difficult, and it looked super nice underneath. I'd offer around $1,200 and walk away at any counter over $1,500. We have sold nicer ones for much less! 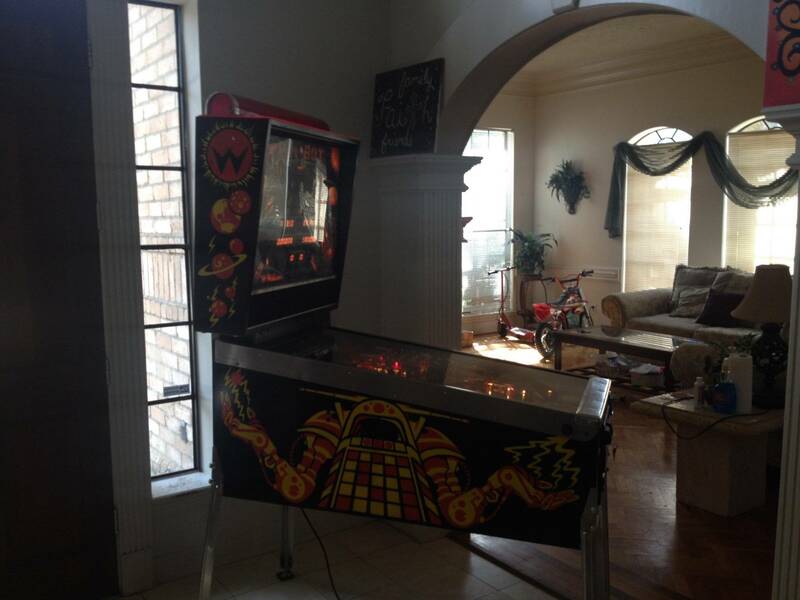 A $1500 machine at best but $1200 to $1300 would likely be my offer as a buyer if I really wanted that title. Not a bad playing machine but they can be hard to sell once you are ready for something different. The market has changed some over the past couple years but no way that is anything over a $1500 machine even at today's prices. I appreciate all the opinions, keep them coming. 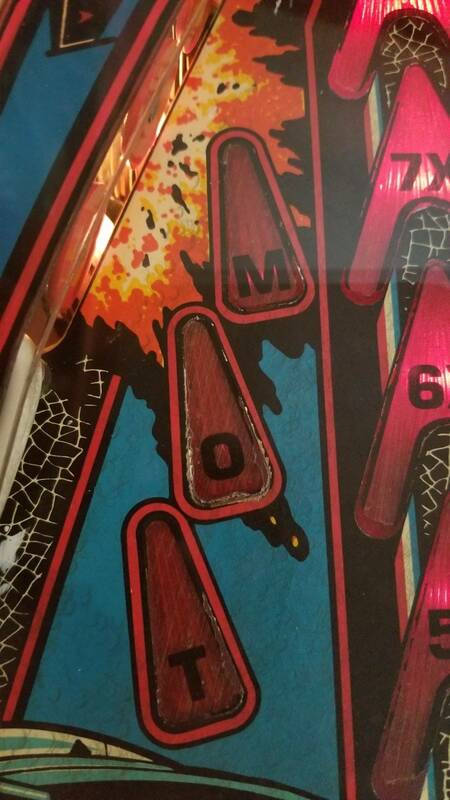 Any indication by looking at the pics that I will have playfield part replacement issues soon, or is it just a little worn? 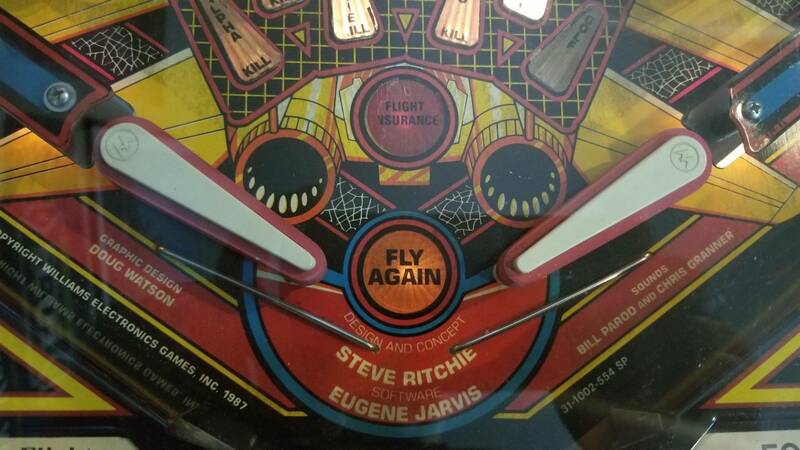 You seem to worried about playfield repairs.this is a players machine and will play just fine,a few scuffs and a lifted insert or 2 just adds to the charm imo.unless you are wanting collector quality pins I wouldn't worry so much about a few imperfections. Thanks for this comment, just what I was looking for. Not worried about pristine, just don't want to take it apart anytime soon for anything major related to the payfield. If I get it for the "right" price, any special transportation tips so I can get it home safely in the bed of my truck? Mylar lifting is likely caused by inserts liftling. Typical on the chevron inserts. Can be tough to see in pictures but easy to feel when the glass is off. Should this stop you? No. This is a very common issue on these machines and they can be reseated if you are so inclined. You can remove mylar, fix inserts and replace decals. Then clear coat the pf or just buy a pf protector which is readily available. But all if this should be relected in your purchase price. For 2200 i would expect all that work to be done or have a repro pf in it. 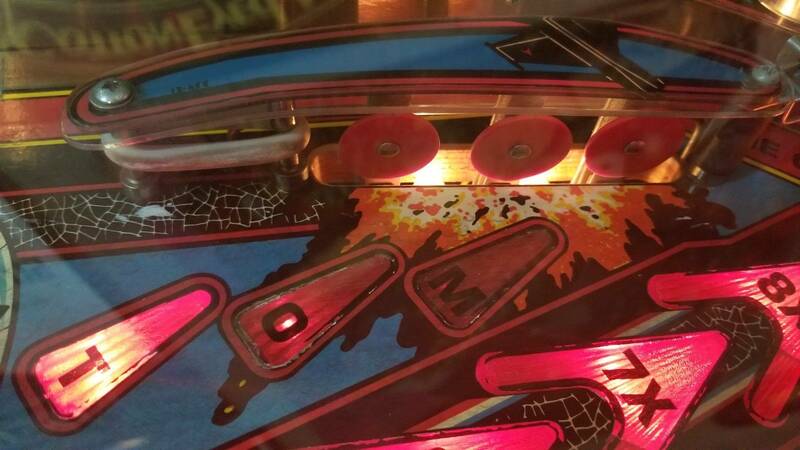 I don't see any mylar on it, it looks like ball swirls in the paint and wear in the playfield. Totally acceptable for a players pin and its not in horrible shape. Priced a little high I would try and get in 1500-1700 range. 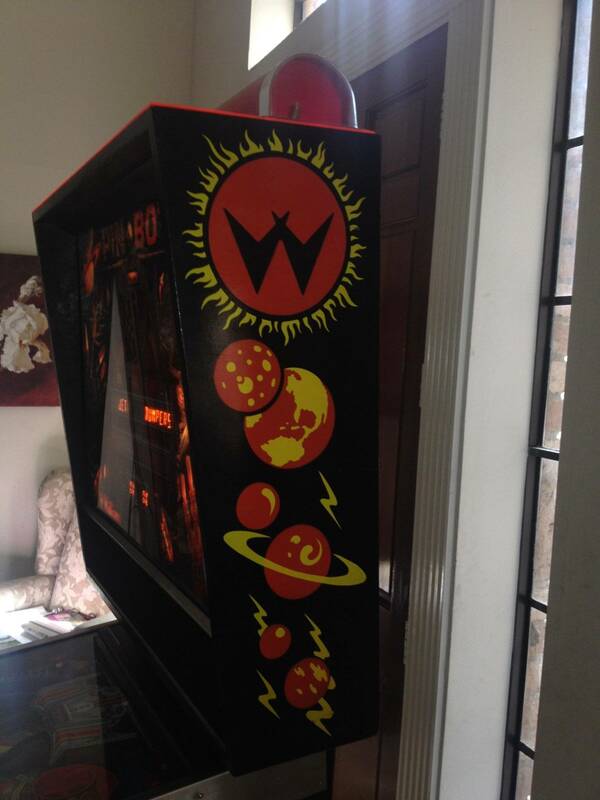 I would just clean it up as much as you can, LEDS and maybe decal some of the inserts. Not every pin needs to be restored or collector quality. Lots of life and enjoyment in that pin the way it is. P.S. First thing I would do is clean and wax and fresh balls. any special transportation tips so I can get it home safely in the bed of my truck? Take the balls out of the trough first. That’ll keep them from bouncing around and breaking things. Throw them out, and buy new ones, as the ones in the game are probably going to be rusted or pitted anyway. When lowering the backbox head, rest a blanket or piece of reasonably thick cardboard where the backbox touches the side rails, and strap it down with ratcheting straps. Keep an eye on the wiring running to the backbox for kinks or hang ups. Remove the legs (rear first, lower down and prop the game up, then remove the front legs), and keep all the hardware together. 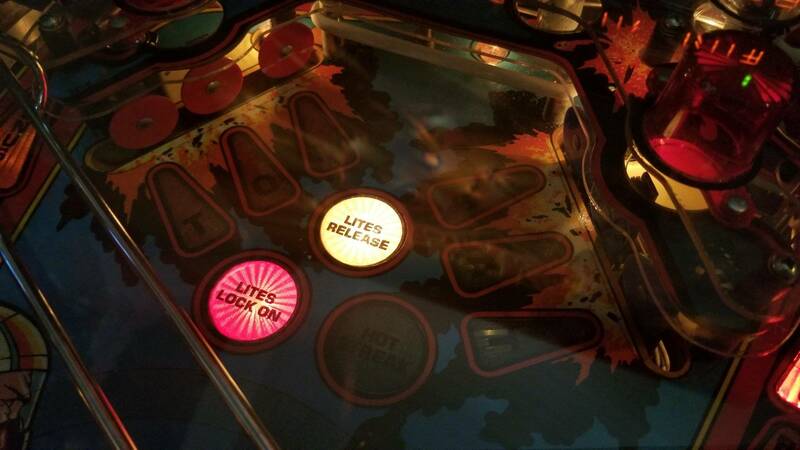 In a home environment, that playfield won’t really wear down much more. Beauty is in the eye of the beholder, so only you can decide how much wear is worth it. I agree with others with the pricing. They need to come down like 30% at least. I appreciate all of you, thanks. It looks like the mylar was removed at some point. That’s why the artwork on the inserts is missing. Mylar would have protected most of the inserts from wear. It’s a minor thing and, like others have said, can be easily fixed with decals if it bothers you. I agree with most others here that $1200 is a fair price and $1500 a maximum. The $500 they paid to get it working is probably about right. I hope that’s what you meant and not actually $2000 to get it working, because that would be crazy. 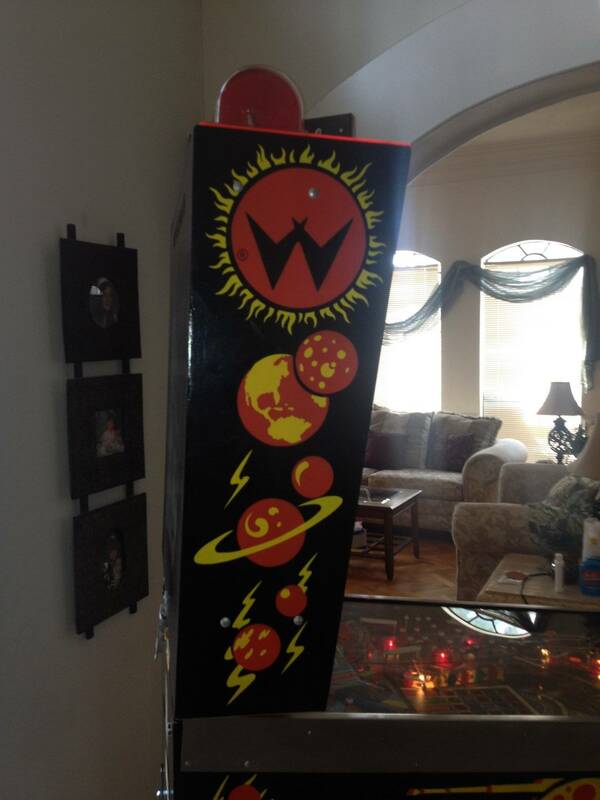 You’ll be a semi-pro pinball tech in no time with any pinball machine. It’s part of the fun. My F-14 is completely torn down and 30% into a restoration. I’ll never get back the money I’ve spent on it so far, but I will never sell it so I don’t care. I offered 1400.00 and was denied. They have $3500.00 in and wont sell for less than 2000.00. My search continues, thanks again everyone. Is it an F-14 you're after, or just a nice first pin? Good for you, one of the hardest things to learn is when to walk away from a bad deal and not justifying spending a few hundred more just to get it. Yeah, $1500 range. Looks like you at least have a good cabinet, nice displays, and translite. Make sure the domes turn. AND MAKE SURE you look at the MPU board and check carefully for acid damage. I have an F-14 in similar condition and can tell you if the kill inserts are raised, it is pretty damned annoying and you'll want to fix or replace. Planetary sells complete new inserts sets now though! Wasn't meant to be! They made a ton of F-14's so plenty others out there to be had. Quoted from gmagno:I offered 1400.00 and was denied. They have $3500.00 in and wont sell for less than 2000.00. My search continues, thanks again everyone. They're about to learn a lesson themselves I think. Good on you for passing! Hopefully they keep your contact info so later, when they are hungry for crow, they know who to call. You made a fair offer. Too bad. It's a really fun pin. Mine keeps me coming back. The price also depends on your location. You'd be hard pressed to find a $1500 F-14 in the Pacific Northwest I think. If someone told me they put $2000 into a game to 'make it work,' I'd be highly suspect. I'd ask for receipts and for them to explain what they did in detail and take notes and see if it added up. If they had a guy dinking around for 20 hours at $100/hr, they got ripped off. 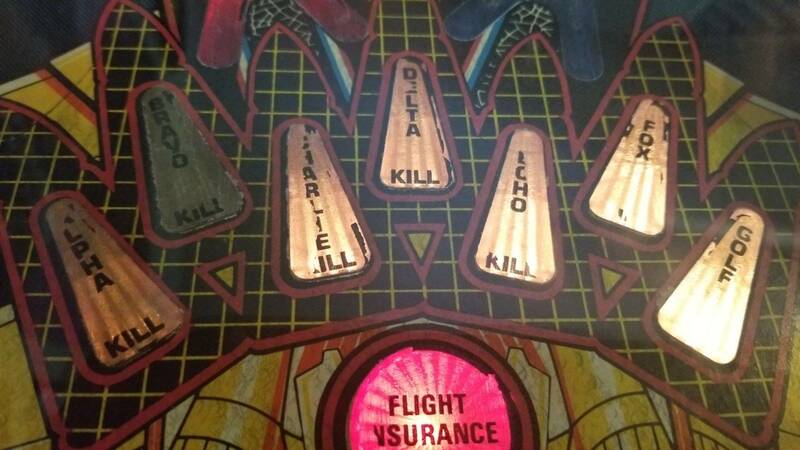 I definitely do not agree that an F-14 with a new repro playfield is only worth $2200. 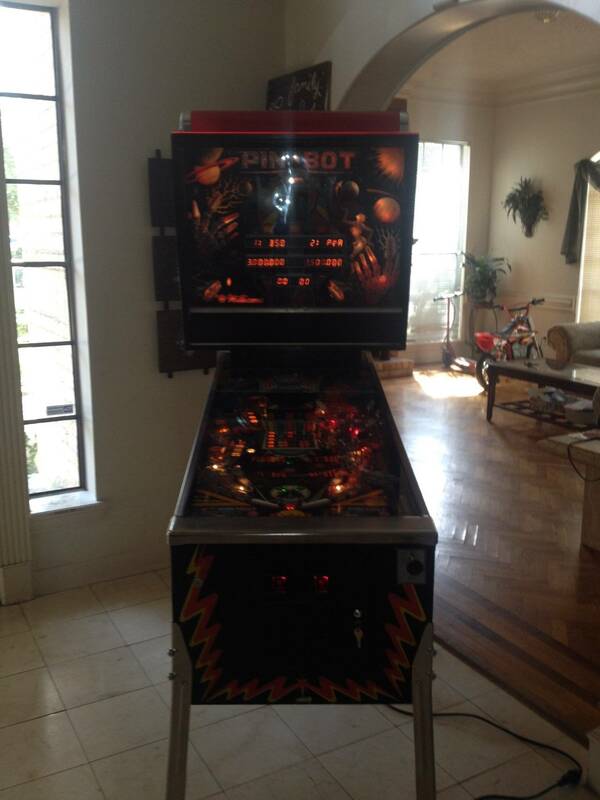 The playfield alone is at least $800, not including labor. F-14 is a good game, not a great one. I like it a lot and will never sell it, but it is very shallow and not what I would recommend for a first pin. I'm going to have to disagree with you, I think F14 is a fine 1st pin. It's exciting with a great light show. First pins don't need to be deep, that's what 2nd (and 3rd, 4th, , , ) pins are for! Stick with the plan OP, keep your price $1,500 or less for this pin. 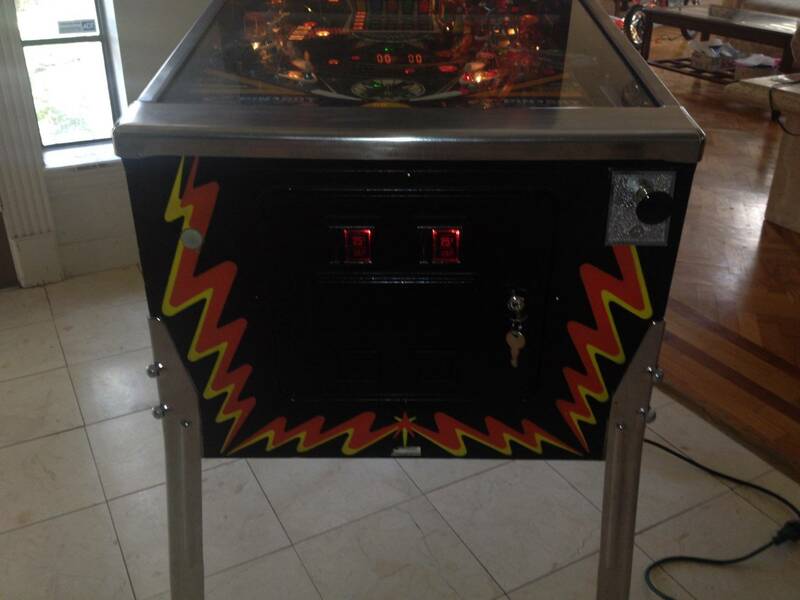 Maybe, MAYBE a little more for an extremely clean one with LEDs and near perfect playfield. But again, don't limit your first pin to this title, keep looking to see what pops up. Definitely not over $1500. And only right at $1500 if you are absolutely dying to have this title. You made a fair offer. Stick to your guns. Thank god you passed. Had a hard time getting the $900 back that I paid for mine years ago. Those were the days. 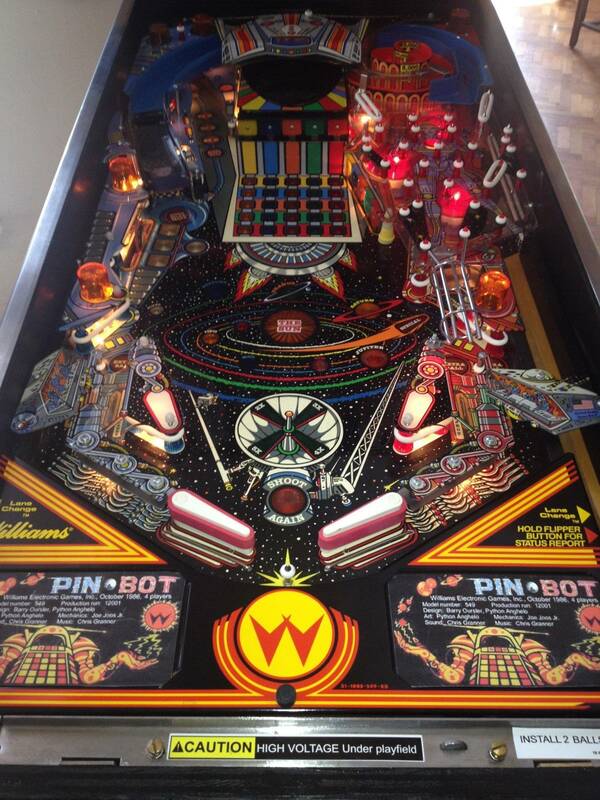 Looking for a first pin and wanted a system 11 in the top 100. Found a guy yesterday with a Pin Bot. He and I discussed a full restoration like the last one he completed below. He can complete it in about a month. It comes with a year warranty. How much should I pay for this fully shopped? Montgomery, TX, North of Houston, TX. Thats almost impossible to answer because people tend to have varying definitions of "fully restored". A true full restoration from a highly skilled professional can run $5k-$10k, not including the pin. So, I'd recommend holding off any restored pins until you have a better grasp. Get something in good working condition for cheap and have fun with it. A System 11 for <$2k is a perfect first pin. Thats almost impossible to answer because people tend to have varying definitions of "fully restored". A true full restoration from a highly skilled professional can run $5k-$10k, not including the pin. So, I'd recommend holding off any restored pins until you have a better grasp. Get something in good working condition for cheap and have fun with it. A System 11 for &lt;$2k is a perfect first pin. Thanks for the advice. The market here is limited on pins unless you wait forever or buy at only 2 retail locations for 3K and up. This guy actually restores and sells them to the retailers at times but prefers local personal sales. I talked to him a while and can hear the passion as he speaks. I may not be good at much but have a knack for reading people. He wants 2500.00 and for everything he will do, including the year warranty I think its fair. I just wanted others opinions in case I am way off. Thanks again for all the advice, I appreciate it. Pinbots are popular pin and very easy to sell. That looks well above average shape. Red ramp, visor, topper and playfield all look 100% if it's truly in the same shape as that it's not a ridiculous price. You can find them cheaper but they go quick and they don't come up often. I would get him to throw in a full LED job and barter as much as you can, I could live with that deal. $2,500 sounds like a reasonable price for a fully working Pinbot that has been gone through mechanically and cosmetically, and comes with a 1 year warranty. 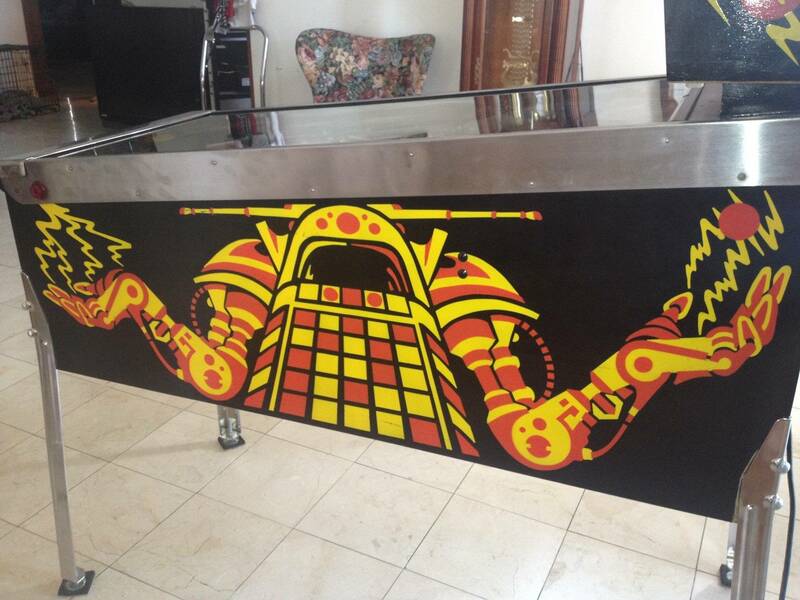 I just sold a really nice Pinbot that I shopped out for $2300, so I think it's reasonable. Looking forward to the "What pin did you bring home today" thread! Great deal with the 1 year warranty. Play the hell out of it. Average condition Pinot is $1500. $2500 is not unreasonable at all for a nice one. Enjoy! Well, my F-14 went as part of a trade deal, so it is difficult to put a monetary value on that one...But Jeezus, I undervalued my Pinbot! I will agree! I've done a few swaps. I won't do less than $800+ generally for a swap.